Expectant mothers must beware vs flu risk, says study : Healthcare Asia Daily News | Asia's Leading News and Information Source on Healthcare and Medical Industry, Medical Technology, Healthcare Business and R&D, Healthcare Events. Online since 2010. The flu virus is quite common and usually spreads via air droplets from coughing, sneezing or talking infected individuals; or picked up from surfaces like doorknobs, where these droplets can linger.Symptoms can include fever, cough, sore throat, runny or stuffy nose, aches and pains, chills and fatigue. 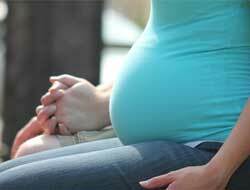 The flu strain H1N1 can affect anyone, but pregnant women are especially cautioned against the flu. Recent study data of 490 pregnant women in the US show that the women severely infected with the H1N1 flu virus and ending up in the ICU were more likely to have premature and underweight babies.But, the study group was too small and did not include individual patient characteristics like health data, income or education which can substantially impact birth outcomes. Although severe flu infections in pregnant women are generally rare, the study highlights the increased risk presented later on in babies and the importance of vaccination and treatment of pregnant women against the flu. Lead study author Kim Newsome of the US Centers for Disease Control and Prevention (CDC), Atlanta has said the data provide fresh insight into how the illness can impact birth outcomes – it is imperative for pregnant women to get the flu shot. Newsome has also advised prompt treatment for this women group when sick, frequent hand washing, avoiding close contact with other sick people, and cleaning and disinfecting surfaces. Dr. Julie Shakib, a pediatrics researcher at the University of Utah in Salt Lake City agrees on the importance of vaccination for pregnant women – ensuring safer pregnancies and improving chances of delivering a healthy infant. Aftercare is equally important – parents and caregivers should get vaccinated every year, as should all babies six months and older.